Best Migration Services Global Pty Ltd (‘BMS’) currently has thousands of direct and indirect clients around the world and helped settled over hundreds of them in Australia. Established in 2014, Best Migration Services Global Pty Ltd (‘BMS’) currently has thousands of clients around the world and helped settled over hundreds of them. 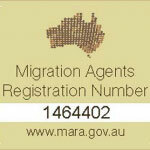 Best Migration Services Global Pty Ltd (‘BMS’) through its global network helps linking any individuals, families, organisations, investors, businesses, wishing to live, work, invest and migrate to Australia, to the appropriate authorised Registered Migration Agents (RMA) and/or Australian Immigration Lawyers, Business Brokers, Financial Consultants, Certified Accountants, Management Consultants, Real Estate Brokers, Builders etc., depending on the requirements of the clients and types of visas that they would like to apply. Australia has various visas and visa subclasses and all RMAs or Immigration Lawyers do not specialise in all visas. 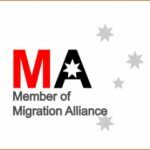 BMS has various RMAs and Immigration Lawyers who only specialise in and provide the best guidance and services for that visa and/or its subclass as per the clients’ requirements. 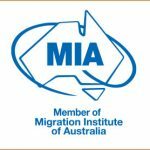 Though established in Australia, BMS through its global network helps recommending and connecting Australian Migration Settlement Experts to any individuals, families or businesses wishing to live, work and settle in Australia. Along with the excitement of change of immigrating to Australia, it can sometimes be a stressful process, filled with challenges. BMS seeks to minimise your stress and eliminate these challenges, particularly the confusion and frustration that is often associated with the Visa application and settlement process.